Prepping fibre is a long process. Spinning is a long process. Dyeing is a long process. When you combine the three together, you end up with an enormous undertaking. I am not complaining however. It’s been a blast! And will continue to be a blast for some time still because I am not even close to hitting a half point mark of all the fibre I need to turn into workable yarn. The hardest part by far is choosing the colours. I love them all and want them all. I have been playing around a bit and I haven’t had a colour I didn’t like. Here are two of my latest creations. 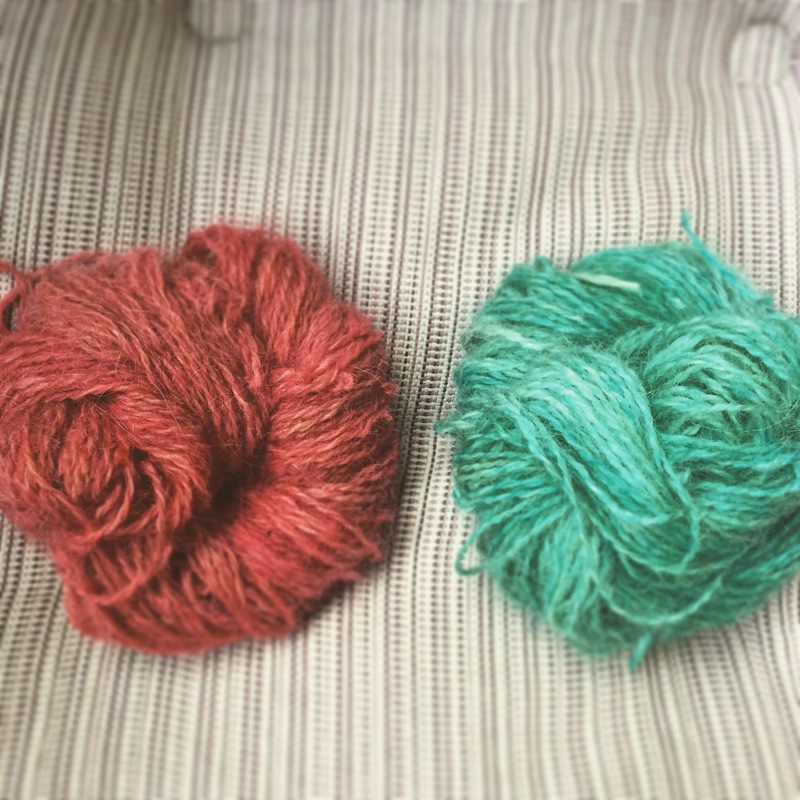 On the left is a cherry dyed yarn. It took a really long time to get this saturated. Hours! On the right is a food dye combo of green and blue. I am very happy with the results. Both are 100 yard skeins of sport weight two ply. They are softer than the other yarns I made with this fibre. I think I figured out how to spin it better.